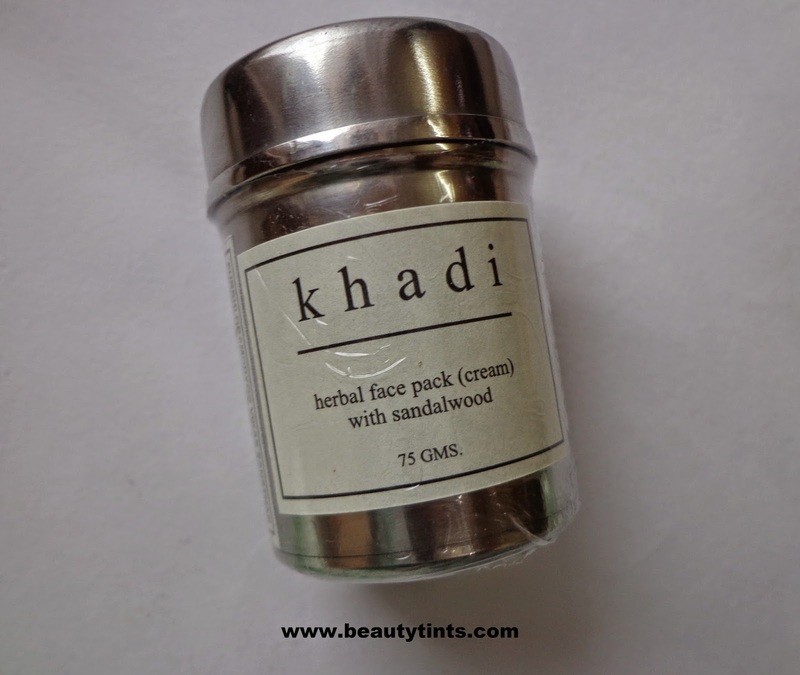 Today I am reviewing Khadi Sandal Wood Herbal Face Pack (Cream),which is one of the products I received from Khadi,which I showed here.This is a pure sandal wood wet face pack which is meant to reduce Pimples, Black heads and other skin disorders. 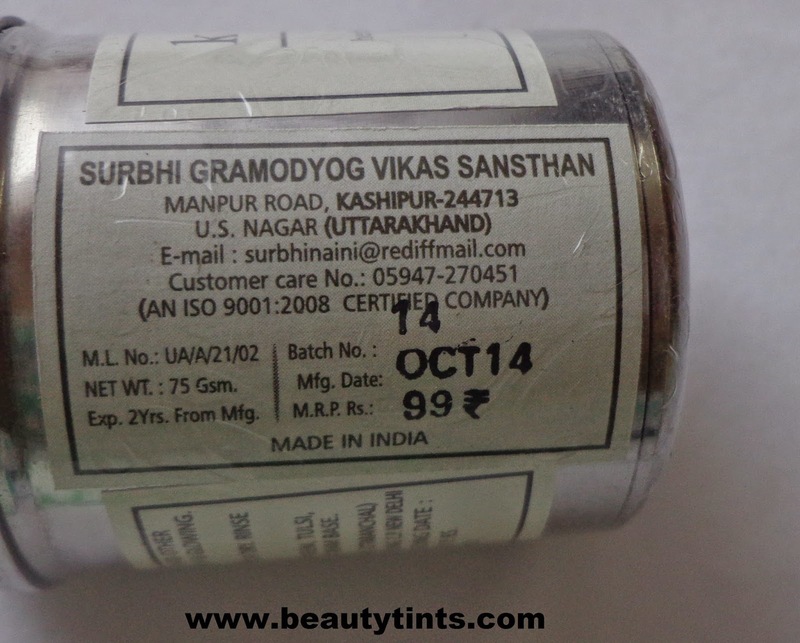 Packaging : It comes in a cute steel tub/dabba with labels having all the required information. Color and Texture : This is a sandal colored wet face pack. What the product Claims :Lush sandalwood cream, known for its calming and healing properties has been carefully created keeping your skin's delicate pH in mind. Use twice a week to help undo unfair sun damage and restore and soothe your skin to it's former glowing glory. Availability : Available in many online stores.You can buy it here and here. 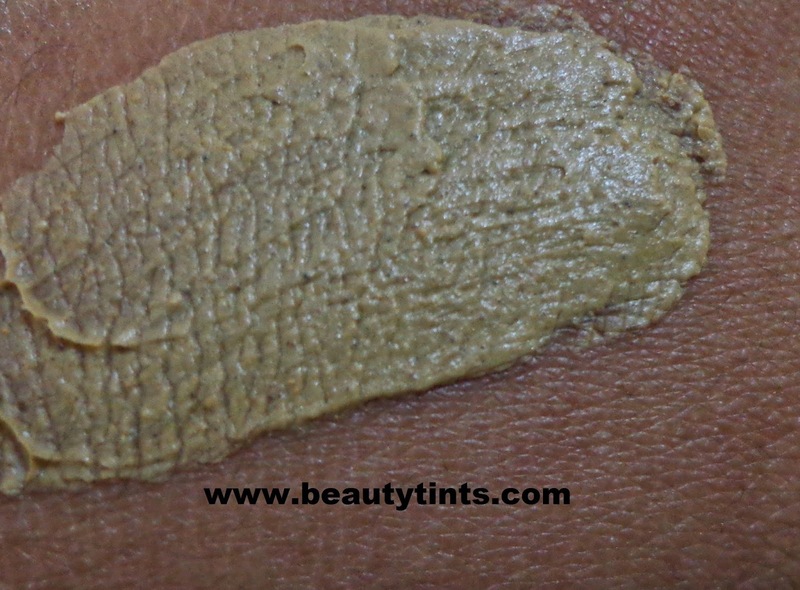 Ingredients : Sandalwood Powder,Neem (Margosa),Camphor,Fullers Earth,Turmeric,Cream Base. Directions for Use :Apply directly onto face with clean fingers or a face pack applying brush. 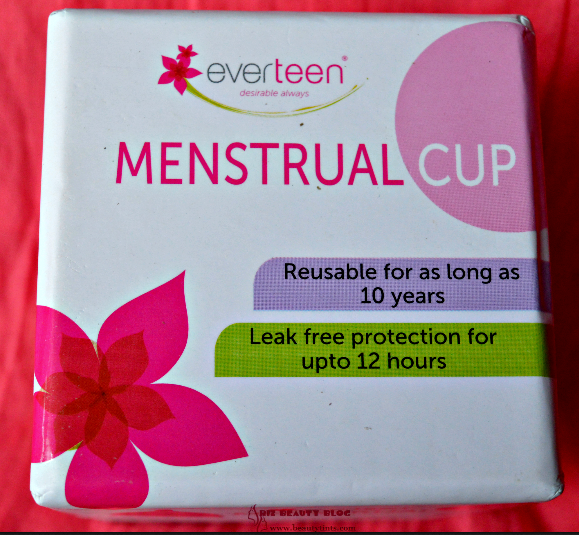 Use at least twice a week for noticeable results. 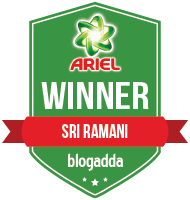 My Views On the Product : I have used it for more than thrice till now and it is a very cooling and soothing face pack which is very easy to apply and easy to remove.It has a mild sandal wood fragrance.I have used this face pack before in a powder form,which is a bit uncomfortable to use,but this wet form is super easy to use.It instantly brightens the face and gives a nice glow to the face.It contains the goodness of sandalwood,neem,tulsi,camphor,fullers earth,turmeric which are known ingredients that help in brightening as well as in reducing pimples to a great extent.This face pack helps in soothing the irritations and rashes.It also helps in lightening the dark spots as it contains sandal wood in it.I like to use this pack on a wet face,so that it spreads easily and requires less amount of the product to cover entire face.It is paraben free and cruelty free and is super affordable.It is easily available in many online stores.The tub looks cute and good for storing,but the lid does not fit tightly,which makes it unfriendly during travelling.This is good for oily -combination skin,but dry skin may feel a bit drying. 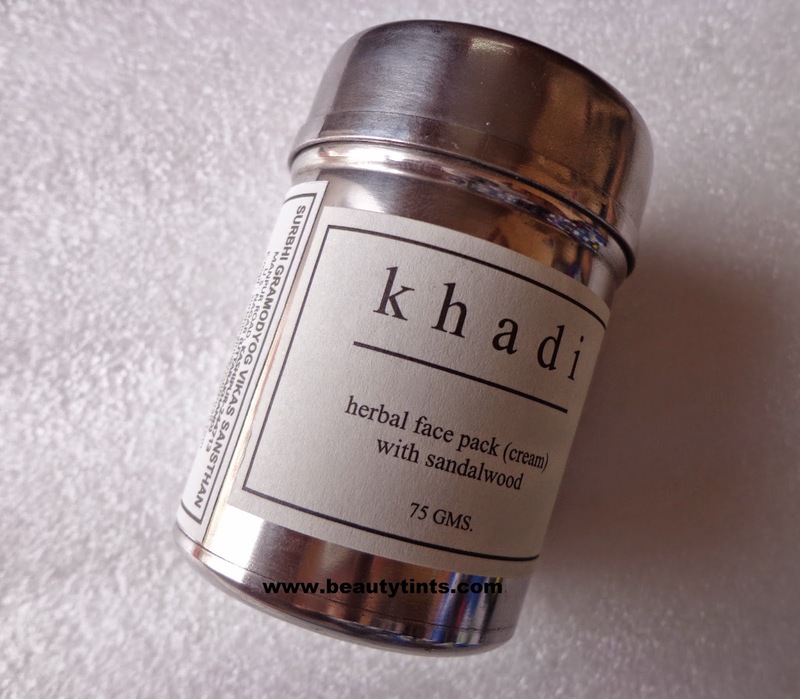 Final Conclusion about Khadi Sandal Wood Herbal Face Pack : Those who love organic face packs with the goodness of sandal wood,neem ,tulsi,fullers earth and those who are looking for a good face pack that helps in reducing pimples and black marks should try this. 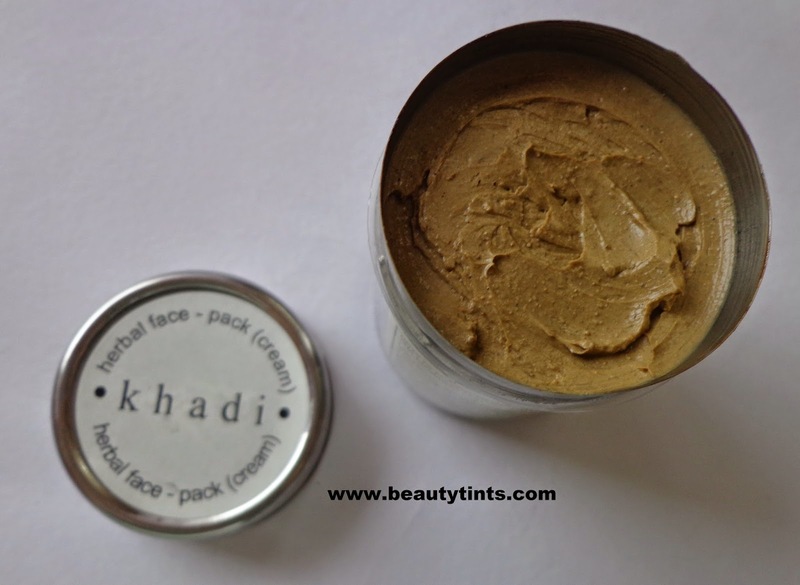 Also check out the review of Khadi Rose and Sandalwood Nourishing cream here.